Just because you’re a mermaid doesn’t mean you have to be sparkles and glitter and pink. Sometimes you’re more an Ursula than an Ariel. Sometimes you just want to embrace your darker, edgier and sexier side. Here’s some gorgeous items to help you get one step closer. These mermaid tail makeup brushes are popping up everywhere, but you almost never see silver/black ones. The dark pink tips on the bristles are just amazing. Get this black 7-piece makeup brush set from Qoo10. That rose gold and ombre version is also pretty, but the black one is giving us life. Get this single makeup brush from Qoo10. Transform your legs into scales with these mermaid scale leggings. There are so many colours to choose from, but I personally like these dark purple leggings. They remind me of Ursula somehow! Get these mermaid scale leggings from Qoo10. Another alternative to the mermaid scale leggings. These look like they’re glittery but they’re just the pattern on the leggings. No matter what you wear them with, they look pretty amazing. Get these glittery mermaid scale leggings from Aliexpress. Don’t you just love the black stockings? They look like there’s some kind of day-glo light in the shape of a mermaid tail. That looks super awesome. The lighter one is cool too, although the outline of the tail might not be as obvious. Get these black mermaid stockings from Qoo10. 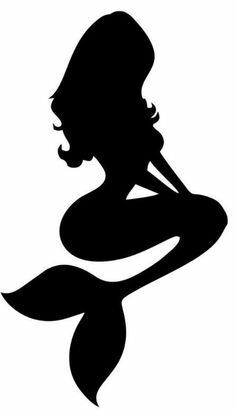 Stand out like the mermaid you are, no matter where you are! The green dress is basically made from little sequins, which means it will be super shiny. It also has a low back if you love to show off your back. Honestly, I don’t know if it might be itchy or not though. That’s the only thing I would worry about. Get this green sequin dress from Qoo10. Such a gorgeous teardrop pendant! Apparently it’s the flourite that makes it glow in the darkness. Get this glow-in-the-dark teardrop pendant from Qoo10. Want to be even more mermaidy? These gorgeous necklaces boast mermaids holding glow-in-the-dark fluorite above their heads. Get this glow-in-the-dark mermaid necklace at Qoo10. You would think that spending all our time in the water would keep our skin hydrated, but no. Sadly, it doesn’t work that way. Korean cosmetics brand Tosowoong helps us mere mermaids achieve that glowy look with this 10-pack of sheet masks. Get this 10-pack mermaid black sheet mask set from Qoo10. Disclaimer: These are all affiliate links, and I do receive rewards if you buy from the link, which I will take as a form of thank you from you for inspiring a possible purchase. This allows me to create more content you love! Next Next post: This man saved a baby goose from a snapping turtle while riding a unicorn float – you just can’t make this up!